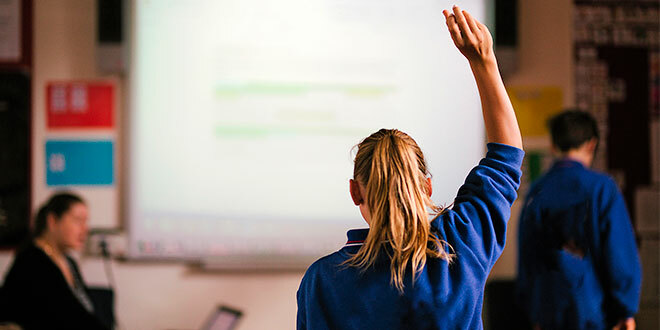 THE Catholic education sector has welcomed sweeping changes recommended in the latest Gonski 2.0 report that advocates an overhaul of Australia’s school curriculum over five years. The National Catholic Education Commission said the report reflected many of the strategies identified in Catholic sector submissions including recommendations to ensure a strong foundation for the early years of schooling and a stronger focus on critical thinking, creativity and complex problem-solving. “This will require broad-based assessment and performance measures that teachers can use to inform their teaching and learning programs,” NCEC’s acting executive director Ray Collins said. Among the changes, businessman David Gonski wants to see the national curriculum progressively revised over five years to create a roadmap setting out progressive learning steps in each subject. Teachers should also be prioritising literacy and numeracy to ensure students have the core basics before they turn eight, allowing a smooth transition between early childhood learning and school. An overarching recommendation would ensure each student achieves a year’s worth of learning for each year at school. “To achieve this shift to growth, the review panel believes it is essential to move from a year-based curriculum to a curriculum expressed as learning progressions independent of year or age,” the report says. Mr Collins described this recommendation as a commendable goal “which will make it absolutely necessary to reduce unnecessary bureaucracy and distractions to learning and teaching, and will have critical implications for the resourcing and funding of schools and systems”. Federal Education Minister Simon Birmingham is hopeful a new reform agreement can be negotiated with state education counterparts this year, allowing changes to be implemented from 2019. Mr Collins described that timeline as challenging, “largely because of its reliance on the co-operation of all sectors and governments”. Many of the recommendations relied on reform at the school or classroom level, which required appropriate support, resources and local leadership. “Central to the successful implementation of the recommendations is the recognition of the needs of school systems – such as the Catholic system, the nation’s largest provider of schooling outside government – to have the necessary autonomy to address need,” Mr Collins said.